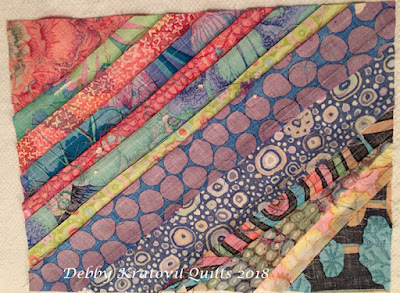 Debby Kratovil Quilts: Got Scraps? 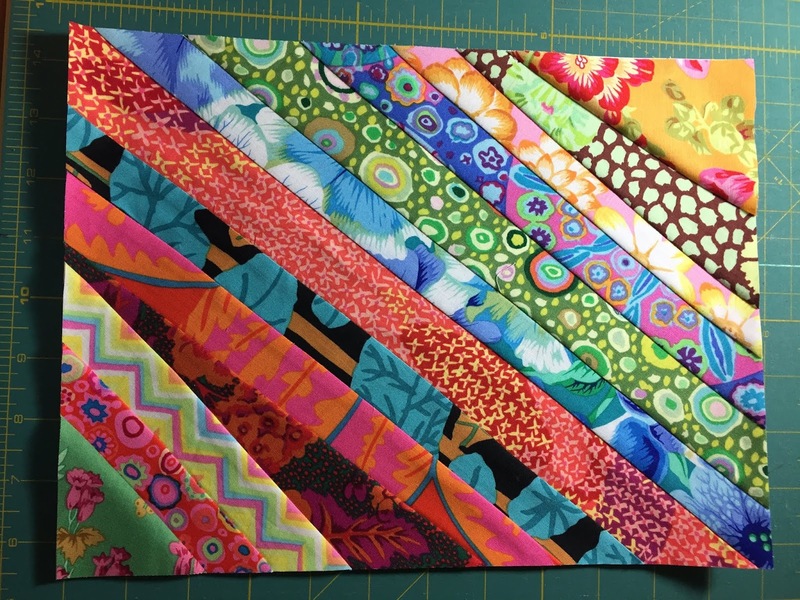 Make These Blocks! This is called "string piecing" and has been a technique in the quilt world for well over 150 years. It was used by frugal quilters who saved every single scrap piece of fabric and then made her own "fabric" by stitching on a foundation. 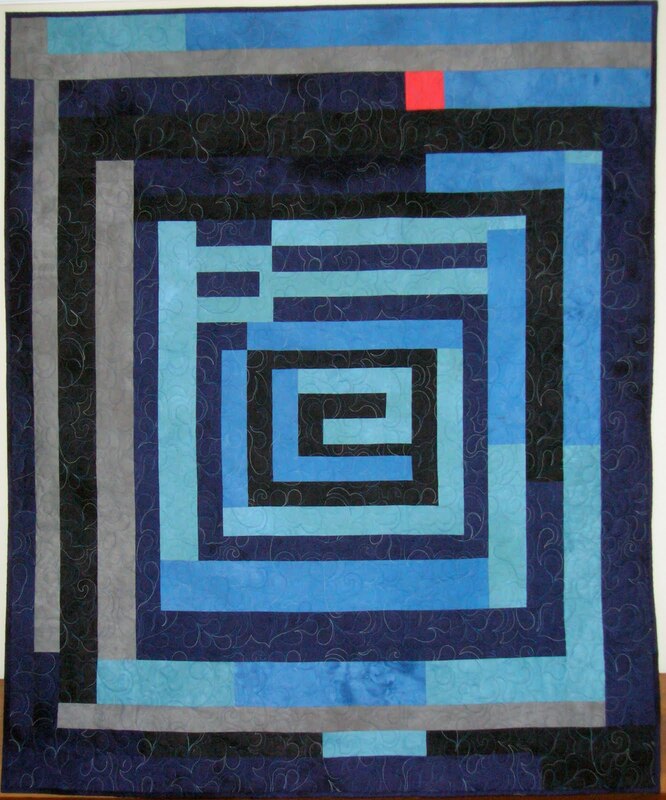 Here is the first quilt I made. Notice that the blocks are rectangles. 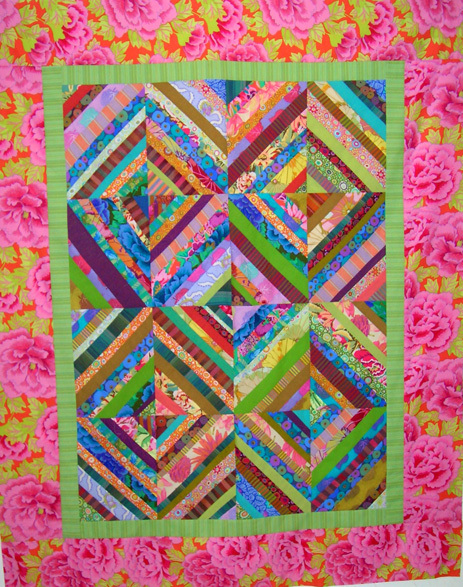 And they are foundation pieced using newsprint! 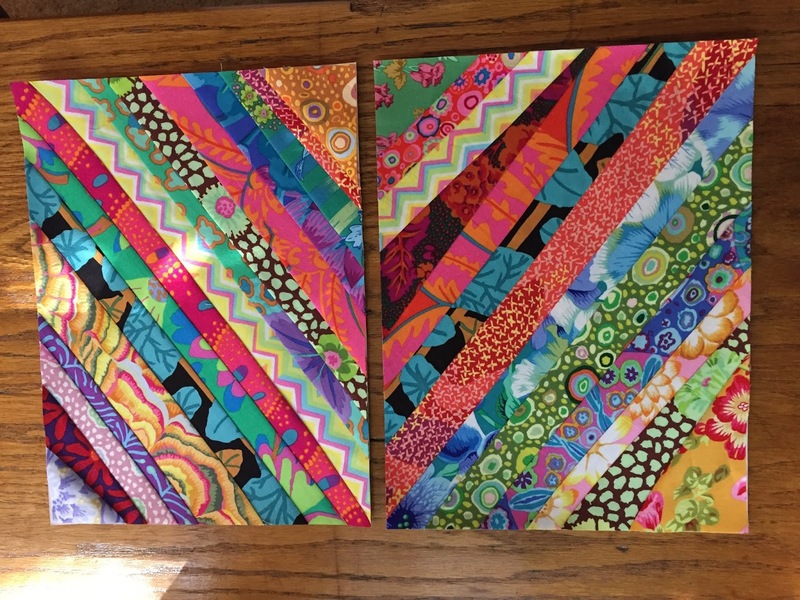 You can buy what I call "Doodle Pads" at Target, school supply aisles in grocery stores, and don't forget the Dollar Store. I have even used tablets that measure 9" x 12". No problem. They fit together when you use the same size! 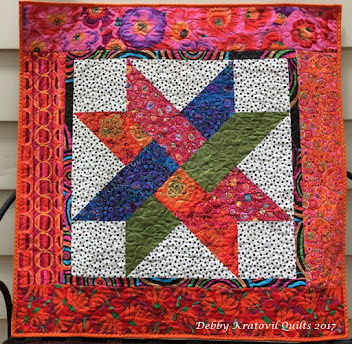 Scrap Buster blocks make an awesome quilt: 49" x 59"
Any size scraps will do. Let me show you! Draw a diagonal from one corner to another as shown. 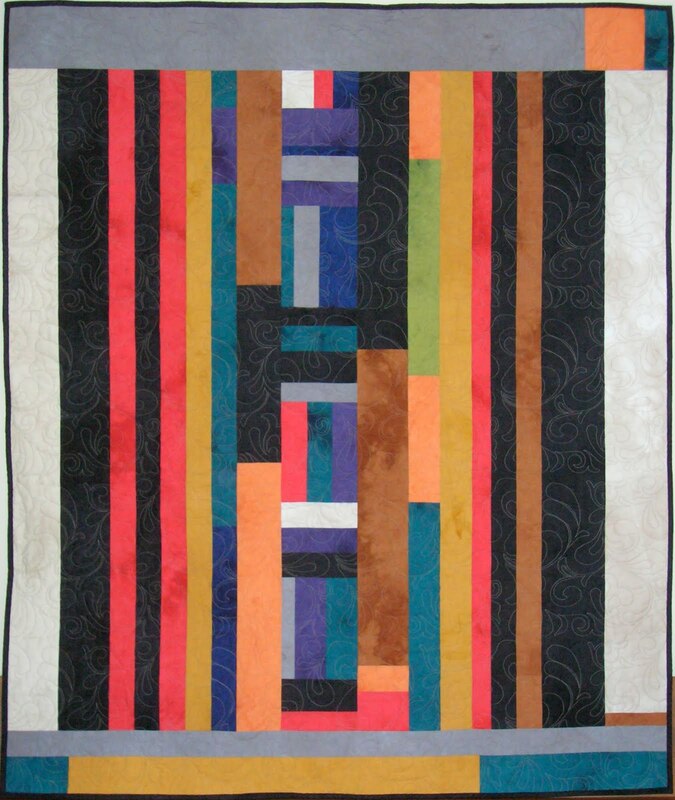 There are TWO blocks with strips going in opposite directions as shown below. 1. Select a strip that is longer than that center line. 2. 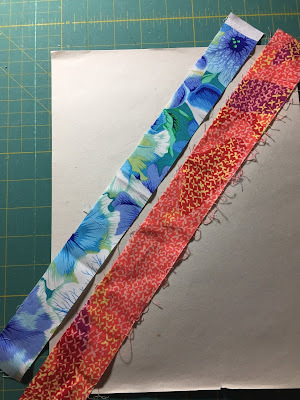 Select a second strip and place it right sides with the first strip. Pin in place. 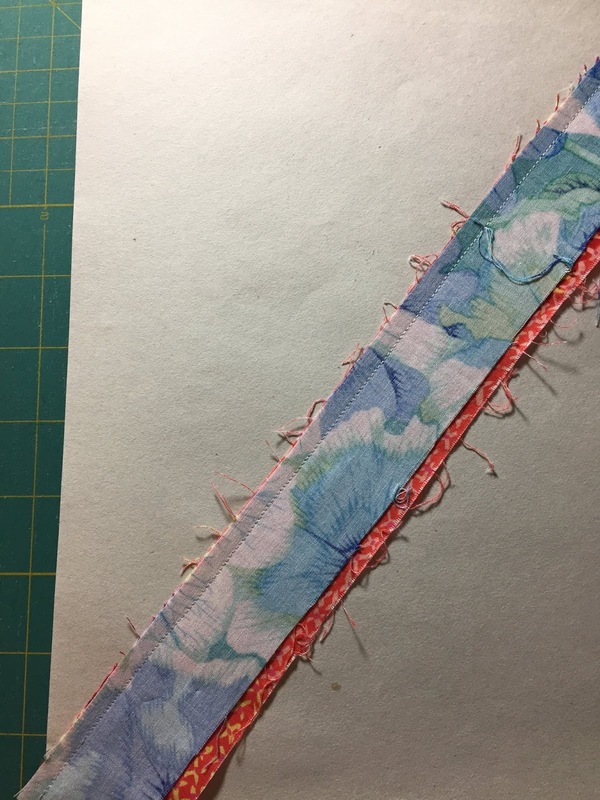 Make sure edges extend beyond paper. 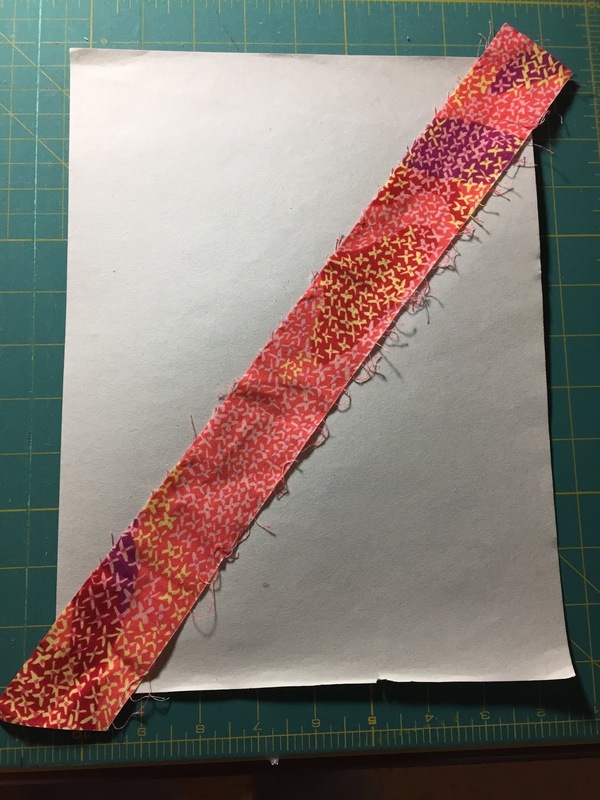 2nd strip aligned and pinned. 3. Now it's time to sew. 1/4", but you don't have to agonize about this. 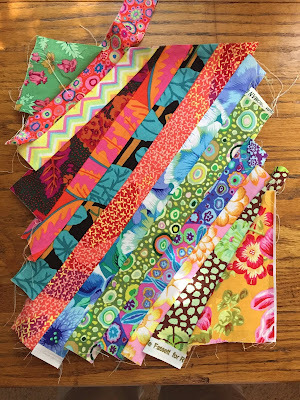 This will be close to an improvisational quilt. 4. Press open and keep adding strips until the surface of the paper is covered. You stitch and flip, going from one side to the other. Finish those corners with a rough cut triangle. 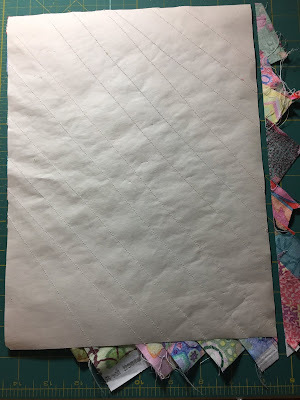 Trim away excess beyond paper on all 4 sides. And how does this look from the front? Lovely, huh? 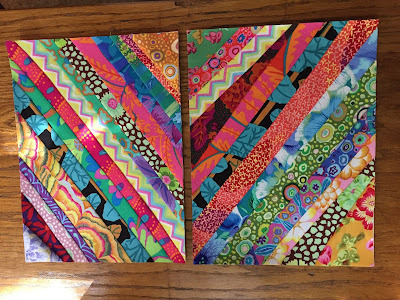 I pieced these this week using 9" x 12" paper. And the second block? 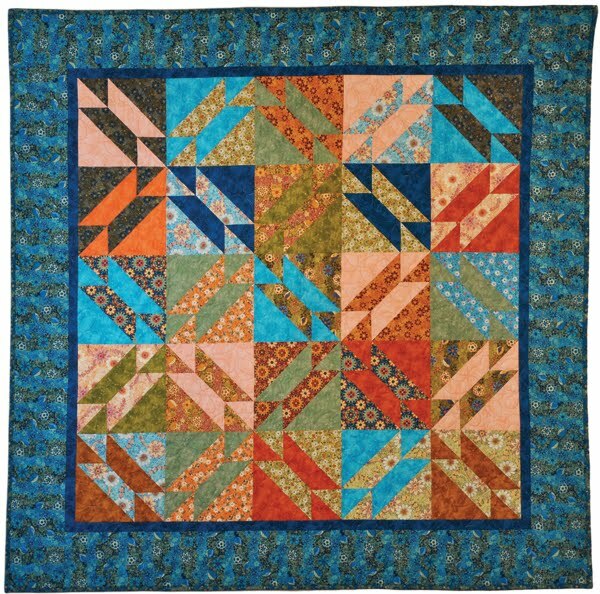 Notice that the diagonal in the first block goes from top left to bottom right; the diagonal in second block goes from top right to bottom left. Now it's time to remove the paper. I'm going to do that while watching Dancing with the Quilt Stars on TV! 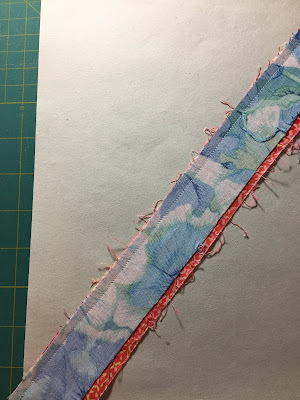 Take care to support the stitches at the edge of paper. You don't want to open the seams. 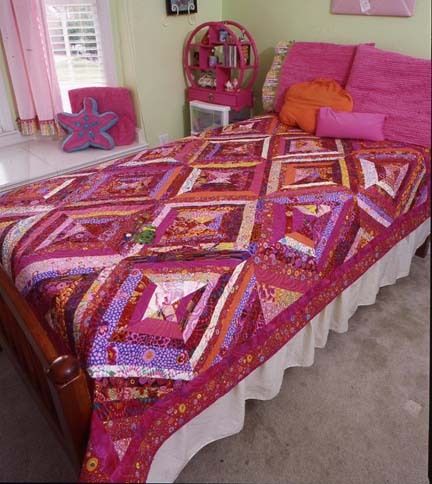 I no longer have the quilt shown at the top. 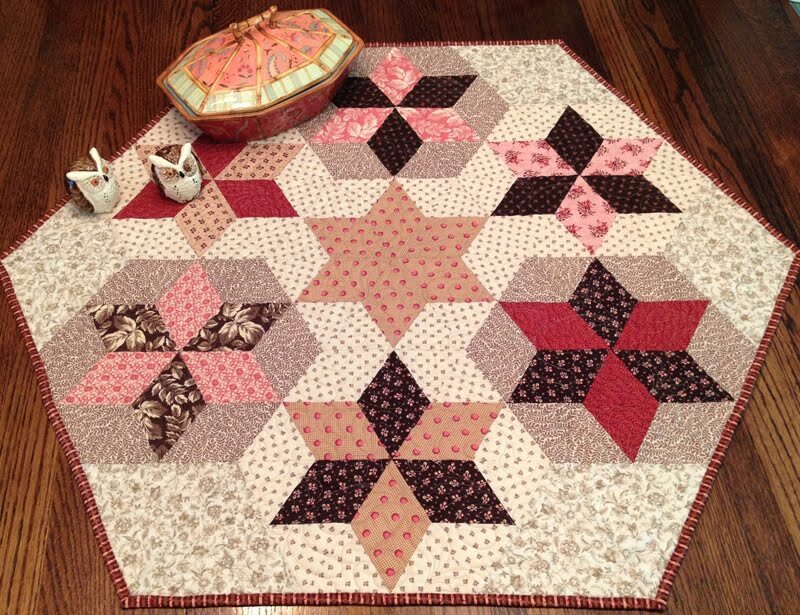 It was gifted to a family member who was recovering from surgery. 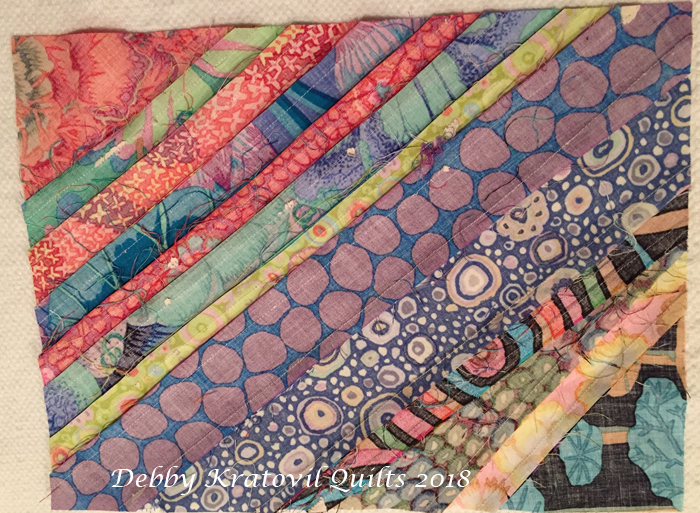 I may keep going with these blocks to make another one quilt. 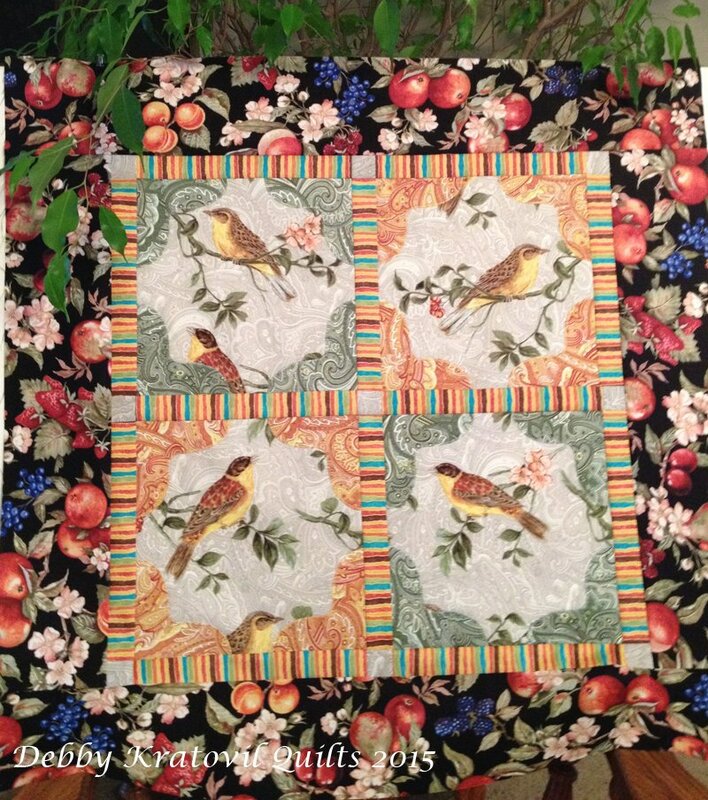 Here is a picture of a quilt one of my students made. She took it even further to make a bed sized quilt. 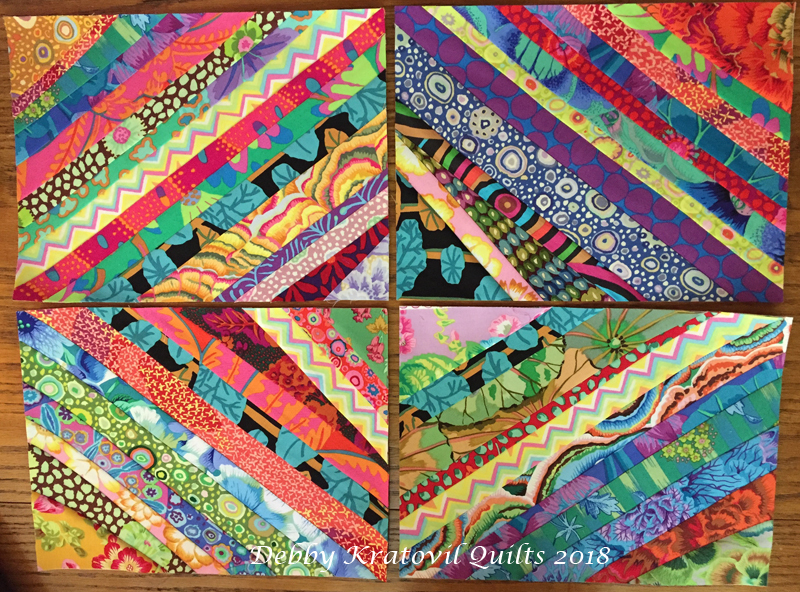 If you feel you need a real pattern with supplies and more diagrams, you can find it here: String Pieced Scrap Buster Quilt at my Craftsy store. Perfect. I have enough scraps to fill the Atlantic. Looks so easy and no matching up. 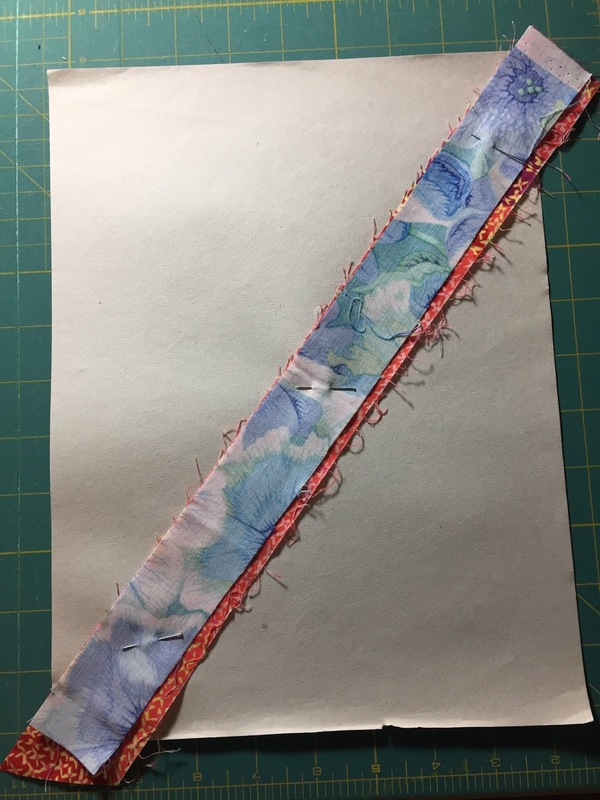 --- I use white gift wrap tissue paper cut to size for the foundation paper. 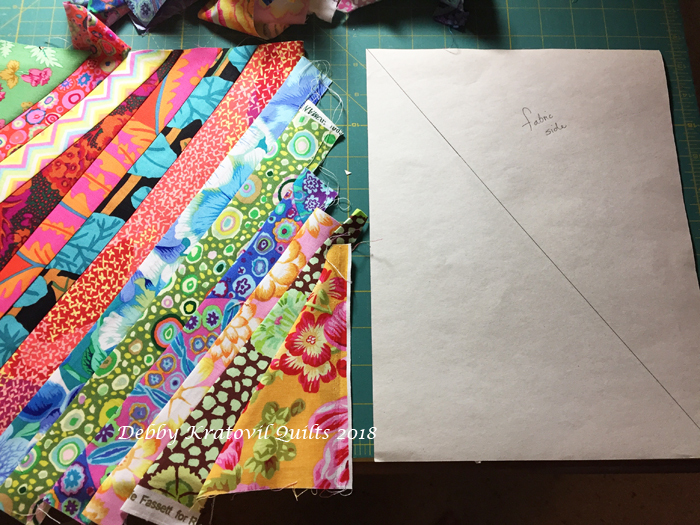 I use a quilt ruler and DEDICATED rotary cutter used for paper cutting only. This is great - I have enough Kaffe "left overs" to do this. Thanks! !